Uganda developed a NAP for the national implementation of UNSCR1325, 1820 and the Goma Declaration on Eradicating Sexual Violence and Ending Impunity in the Great Lakes Region (Goma Declaration) in 2008. The development was lead by the Ministry of Gender Labor and Social Development and forms part of a broader national strategic framework on the advancement of women; in particular the five year National Action Plan on Women (2007) which set out priorities in peace building, conflict resolution and the rights of women and girls to live freedom from violence. 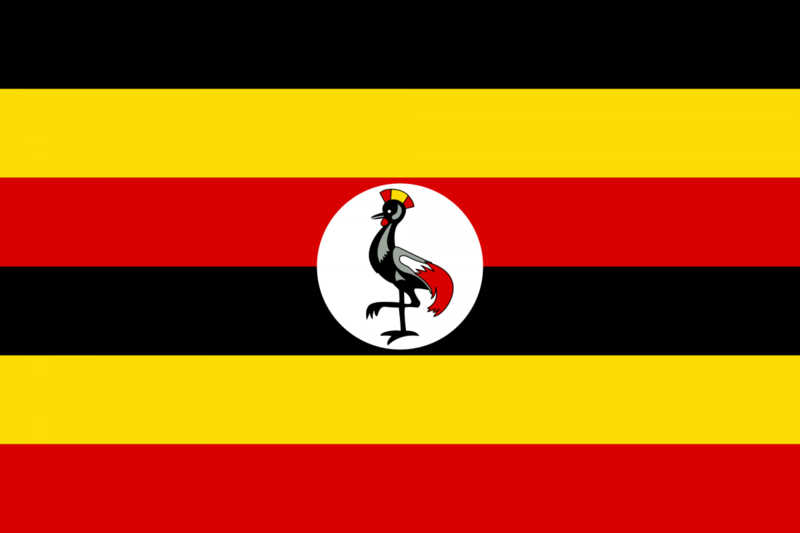 Uganda has a long history of civil war and continues to face ongoing internal conflict, armed insurgency and elections related violence. However, its geographical position in the Great Lakes region also exposes Uganda to complex intra-state conflicts with bordering countries and non-state armed groups. Conflict in Uganda, and in the Great Lakes region more broadly, has been characterized by gross human rights violations, including human trafficking, torture, abduction and systematic sexual violence, including sexual slavery. Women and children are disproportionately affected, and also represent the vast majority of internally displaced persons and refugees. From a recent academic analysis: The Ugandan NAP is actually not only directed at implementing UNSCR 1325 but also UNSCR 1820 and the Goma declaration. The sub-heading of their plan is “commitments to address sexual violence against women in armed conflict.” Nevertheless, the plan does prioritize other issues apart from protection from Gender-Based Violence (GBV). The UNFPA financed NAP development but there was no indication of who would finance NAP implementation. The action plan includes an extensive situational analysis of the existing legal and policy framework governing WPS as well as offering a historical background of GBV in Uganda (Miller, Pournik, & Swaine, 2014). WILPF International does not have a country section in Uganda and was therefore not involved in the development process of Uganda’s NAP. There was some Civil Society involvement in the development of the indicators, but no specific groups or organisations were mentioned. The NAP establishes strategic actions to increase the role of Civil Society organizations in the formulation and implementation of policy and strengthen technical expertise and capacity. Civil Society are also provided responsibility throughout for various activities such as data collection, reporting, education and service delivery. There is also one women’s Civil Society Organization represented in the UN Joint Programming on Gender. Unlike other NAPs, there is no provision for an ongoing formalized role for Civil Society in the implementation or monitoring of the NAP. Civil society must hold women on affirmative action accountable to women. As the women’s movement concretizes the women’s agenda for the period 2011-2016, they must share it widely with women who will have been elected in parliament and in district councils in the 2011 elections. Avail the women’s agenda to all newly elected women MPs and district councilors soon after the general elections in 2011. Government should review the affirmative action policy with a view to increasing women’s representation to 50 percent at all levels of governance since women comprise over 51 percent of Uganda’s population. Government must review the Public Service policies as far as women’s representation is concerned so they too achieve a minimum number of at least 30% like other agencies of government. Women on affirmative action seats in parliament and in district councils must be mindful of the fact their constituency is the women of Uganda, and must therefore work more with women in civil society to keep the women’s agenda on the table. Development partners should support women’s organisations to document success stories and experiences of women in politics. Donors should also avail adequate funding for women’s organisations that help to build the capacity of women’s community based organisations. Government needs to recognise the important role women play in peace negotiations, in peace building and in conflict transformation. Therefore government must, as a policy always include at least a third women representation on peace negotiation teams. The percentage of women in uniform in top positions is very small. Government needs to implement a policy that motivates and promotes women in uniform for they bring unique qualities to the forces. Development partners should support such efforts. Government should appoint more women as heads of constitutional and statutory bodies and also on boards of such bodies. The number of women in such positions is still small compared to the men. Women’s organisations that have not been part of task forces and coalitions for issues on women peace and security need to get on board. It is in numbers that voice will increase. Train women on assertiveness and, campaign skills, public speaking, negotiation, lobbying, advocacy, fundraising and gender mainstreaming to increase and strengthen women’s political participation. Increase funding for women’s CSOs engaged in women’s capacity building for political life and monitoring of recovery programmes. Mobilise women and men to vote for women and work with women MPs to promote women focused politics. Develop a plan of action for coordinated monitoring of the implementation of the NAP, as well as advocacy and M&E capacity development for CBOs that work on women, peace and security. Support a study on the utilization of gender sensitive laws and policies in Uganda. Sensitize local district authorities on UNSCR 1325 and 1820 and the NAP and support processes for them to develop District Action Plans, and also sensitize law enforcement agents because VAW takes place at the local level. Strengthen the institutional capacity of the Family and Child Protection Unit in the Uganda Police Department to carry out their duties efficiently. Design and implement medical interventions including psychosocial support for women in post conflict areas in time for the next budget cycle. Monitor and ensure that all post and pre deployment training for troops going for peace keeping missions incorporate 1325, 1820 and other international human rights instruments. Reconceptualise the role of women in post conflict reconstruction and acknowledge, analyse and reflect in programme design the critical role played by women in economic recovery programmes. Development was led by the Ministry of Gender, Labor, and Social Development with input from relevant ministries and local governments. overnment ministries involved in the implementation include: Education and Sports; Finance, Planning and Economic Development; Gender Labour and Social Development; Health; Internal Affairs; Justice and Constitutional Affairs; Local Government; The New Partnership for African Development; Ugandan Human Rights Commission, Uganda Law Reform Commission, Uganda Law Society, Uganda Management Institute, Uganda People's Defence Forces; Uganda Women's Parliamentary Association; Uganda Bureau of Statistics. The Ministry of Justice and Consitutional Affairs, Family Affairs, and Gender Labour Relations, are tasked with coming out with annual reports. The Law Reform Commission and Ministry of Gender, Labour and Social Development will come out with half-yearly reports. Strategic Objective 4: Increase Women’s Visibility, Representation and Participation in Leadership and Decision-Making in national, regional and international institutions and mechanisms for the prevention, management and resolution of conflict. Strategic Objective 5: Build community and institutional capacity to ensure the prevention of GBV in society. Enact and where necessary amend laws to conform to the UNSCR 1325 & 1820 and Goma Declaration and protect women from gender-based violence and domesticate the Protocol on the Prevention and Suppression of Sexual Violence against Women and Children by reforming the Penal Codes to provide stiff punishment for crimes related to GBV. Provide support to transitional justice mechanisms so that they are equitable and inclusive of women. Increased use of the Grade 1 Magistrate Courts at the district level. Develop a policy on legal aid provision for the poor and vulnerable, and ensure the provision of substantial support to organizations that provide legal aid services to women so as to equitably access and utilize the legal system in relation to GBV. nstitute a National Committee for the protection of Women and Children from sexual violence to ensure follow-up, dissemination and implementation of the Protocol on the Prevention and Suppression of Sexual Violence against Women and Children established. The Ugandan NAP does not specify the period for which the NAP will be implemented, nor does it give specific timeframes for the actions to which it commits. The Ugandan NAP does not include a dedicated budget, or estimated implementation and monitoring costings. Identifying, mobilizing and allocating the required resources to undertake strategic actions through the budgetary process. Provide financial, technical and logistical support for the implementation of the action plan and other gender sensitive efforts to combat GBV. No indicators or actions are included that formulate strategies for sourcing increased funding; detail what level of funding is required for which specific activities; or what accountability mechanisms will ensure funding is raised and used in implementing the NAP. General gender sensitivity in budgeting processes overall are cited, and the need to direct more resources and technical assistance to combating gender based violence. The Monitoring and evaluation framework cites reviews of government planning and budgeting processes, progress reports, community and stakeholder consultation as well as National Budget and National Bureau of Statistics as data collection mechanisms able to monitor implementation spending and resource allocation. A full Monitoring and Evaluation Framework is included in the NAP which detail the sources for data collection, actors responsible for reporting and the frequency of reporting. The NAP details a broad spectrum of actors responsible for implementing the NAP which includes Government Ministries, bodies and departments, local administration, indigenous and international Non-Governmental Organizations (NGOs), Community Based Organizations, the media, Faith Based Organizations, UN agencies and other bilateral organizations, Donor Agencies, Development Partners and the Private Sector. The NAP does not specify the creation of a body responsible for overseeing implementation, formal review/comprehensive reporting processes, or detail how each stakeholder will be effectively coordinated, supported and held accountable in implementing the NAP. The NAP outlines anticipated risks and challenges to successful implementation which includes appropriate funding, political will, implementation capacity, coordination and institutional monitoring and evaluation, but does not go on to elaborate strategies to mitigate against such risks. The introductory chapters of the NAP identify the domestic and regional proliferation and easy accessibility of arms, particularly Small and Light Weapons as contributing to Uganda’s experience of conflict, insecurity and violence against women.